From the hotel, we picked up the Camino just a block away in the older section of town, and there we happened upon Claire as we were leaving town. By this time she was hobbling along with a bad knee injury and quite concerned about her situation. We told her that we would pray for her to find a doctor and get the knee looked at. Then we headed out of town across the Rio Oja. What started out as a rather chilly cloudy morning turned into a beautiful sunny day within one hour. After Granon, it became almost hot, and for the remainder of the day, we were in shorts and t-shirts. From the top of the hill in Granon, I took a “selfie” that indicated only 555km to go. 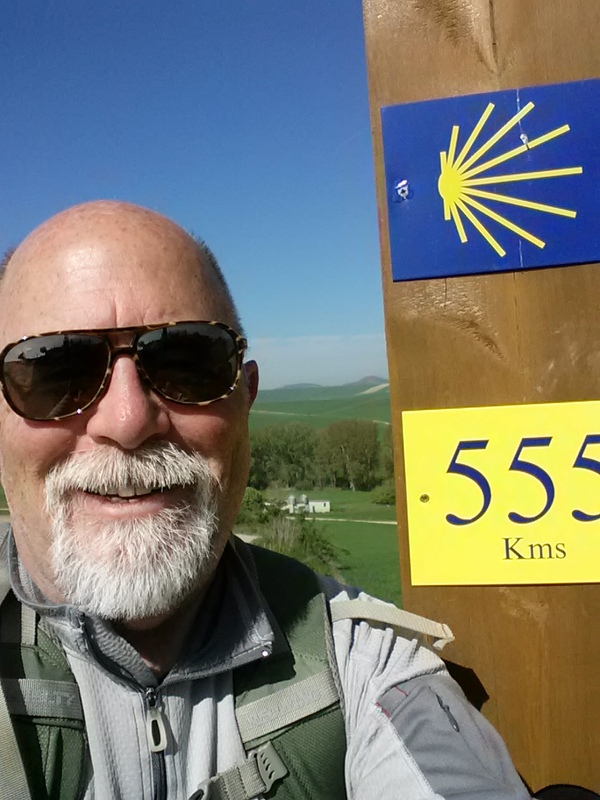 We both remarked that we have made significant progress, but we were not even half way to Santiago. Still 350 miles to go! Greg and I got somewhat separated before we re-united in Vilamayor del Rio. For the last two days, I had been walking gingerly on my right leg because the toe still hurt, and I began to discover that I was developing a blister on the left heel that would need to be treated when I got to Belorado. By this time we had crossed into the Castilla y Leon region, the largest autonomous region in Spain. 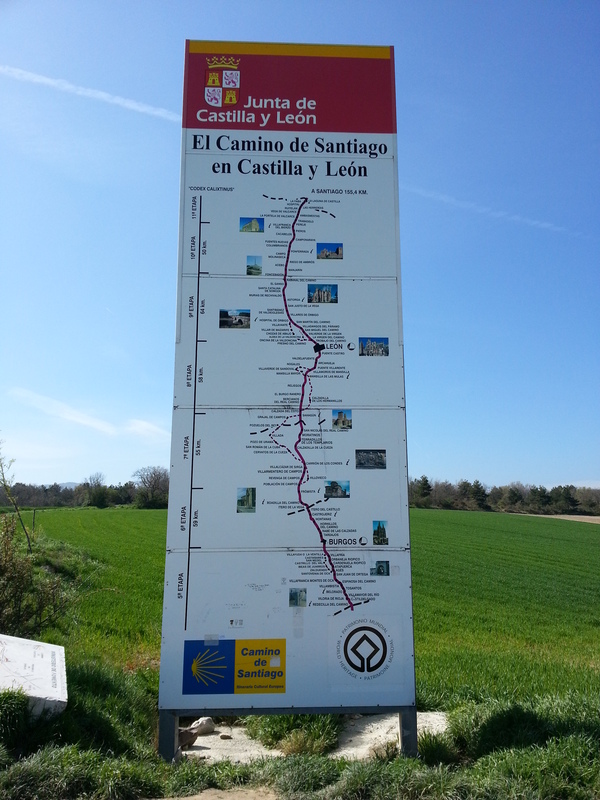 As we checked out the large sign, we noted that we will be travelling through three of its provinces: Burgos, Palencia and Leon. 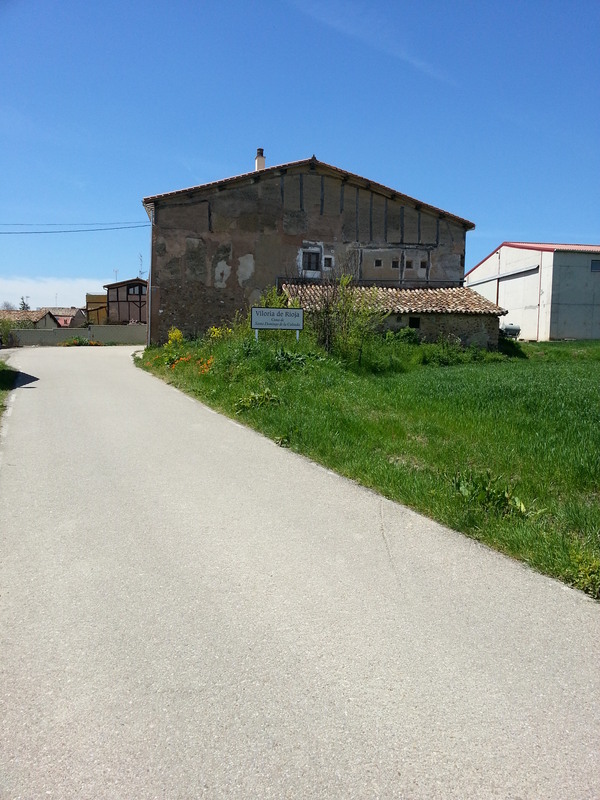 After Burgos, we will have the infamous Meseta to look forward to. This is a flat plateau or mesa that will bring many challenges, both in weather and endurance. Redecilla, Castildelgado, Viloria and Villamayor were delightful hamlets that we passed through on our journey this day, all with something different to add to the visual splendor we experienced. 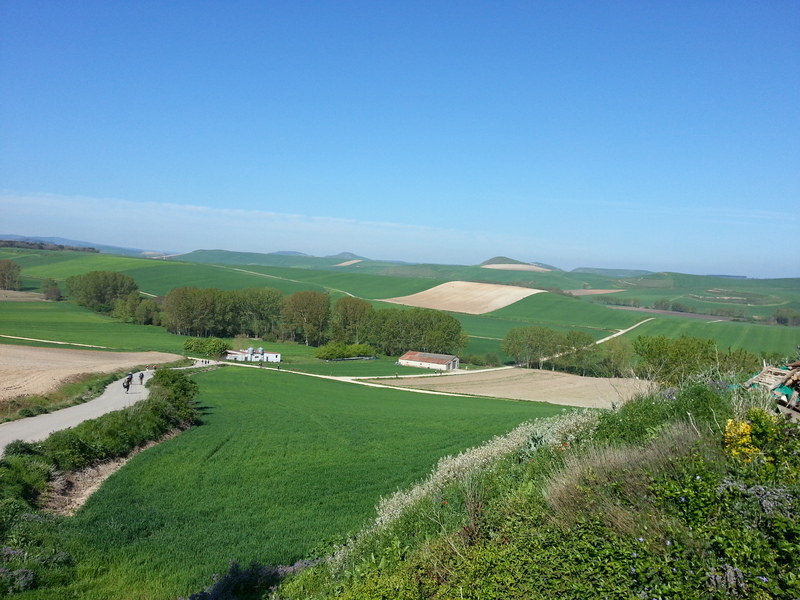 After a long day in the welcome sunshine, we finally reached Belorado in the late afternoon. 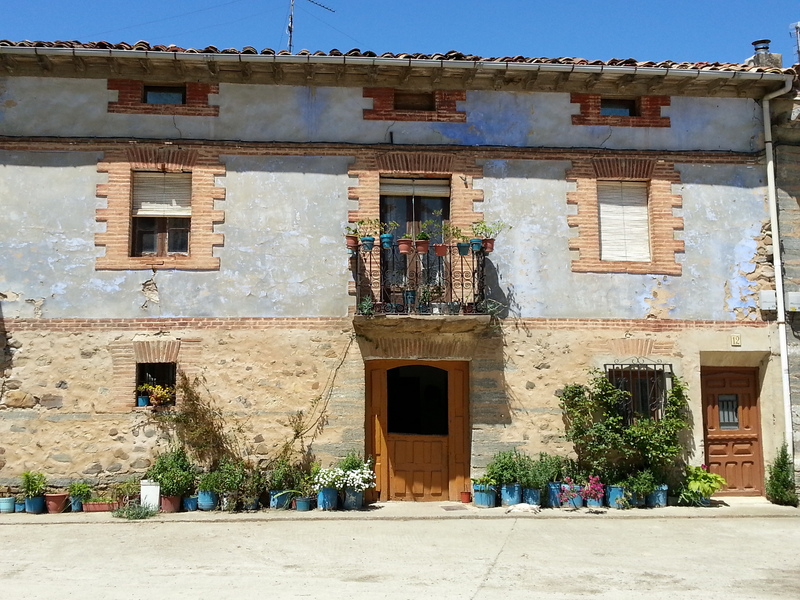 The Hotel Verdeanco was right on the Camino, and we found that we had another pleasant host that directed us to our rooms and told us about restaurants in the Plaza Mayor that he would recommend. 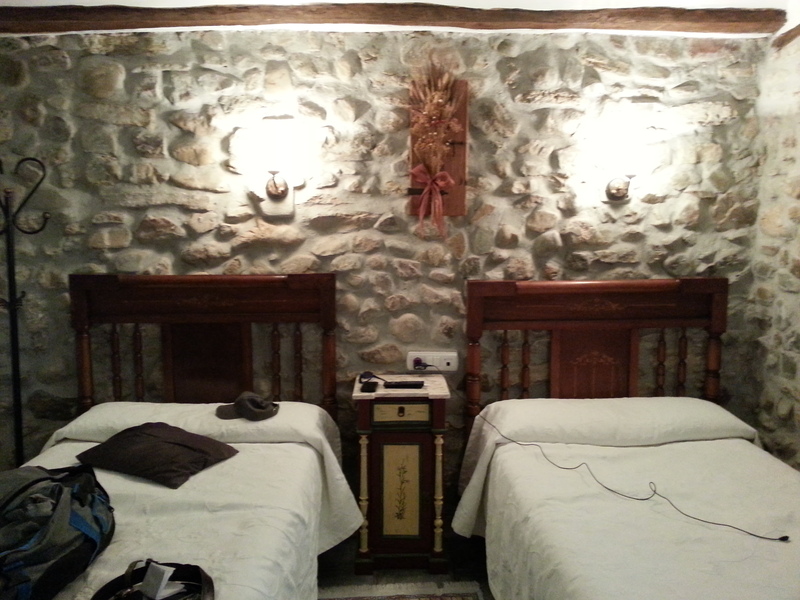 After a shower and a brief nap, we found that the WiFi worked in the room, and so we took the time to contact home. There was definitely a blister that was growing on my left heel. I determined that this was happening due to the way I was favoring my right foot. I bandaged it up as well as I could, using what I had in my first aid kit, and then prayed for the best. Later, we explored the nearby Plaza Mayor and found a restaurant to have a beer and then a good dinner.